Japanese Persimmons have been grown in Zone 8b since the late 1880s. This tree is extremely disease and insect-resistant and produces bright orange fruit in late Fall. The fully ripened fruit is quite sweet and nutritionally higher in vitamin C than most citrus. 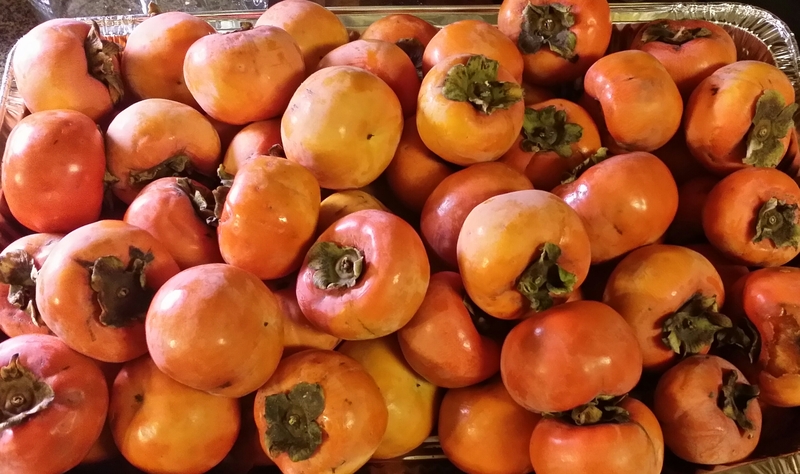 These persimmons were harvested in late November, then placed in a cool, dark place to ripen. The fruit are checked each 2 days and the soft, ripe fruit are placed in the refrigerator until used. 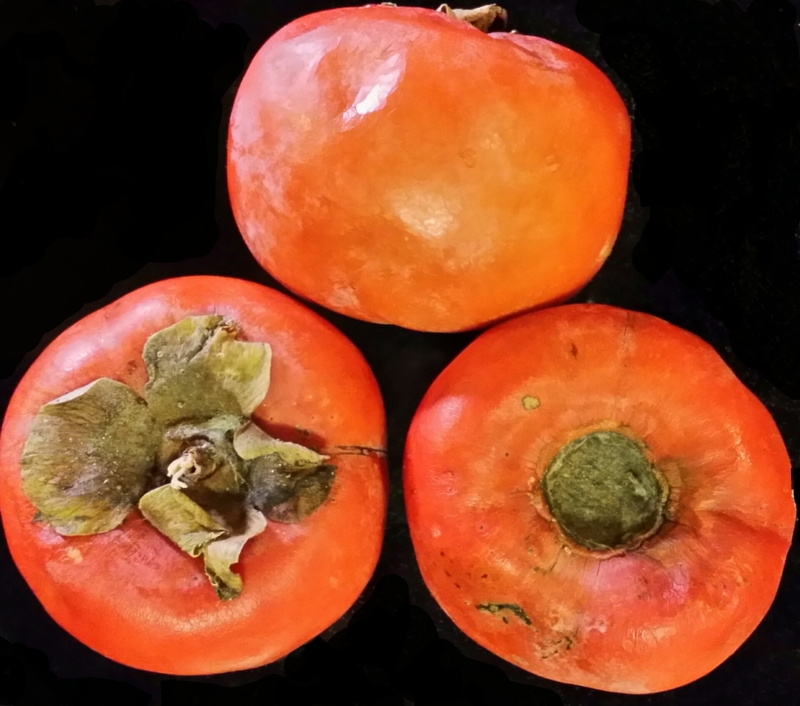 Persimmon pulp can be stored frozen for about a year. While there are many persimmon cookie recipes available, we really wanted a persimmon desert that was made with a heart-healthy oil, rather than butter, and one that was gluten-free. This recipe is the result. For this recipe, use the persimmons that are “mushy” soft when ripe; rather than those that are firm when ripe. Line mini cup cake pans with mini-cup cake papers. Gradually add dry ingredients while mixing batter. Mix by hand until smooth (after adding walnuts). Place approximately 1 1/2 teaspoons into each muffin paper. 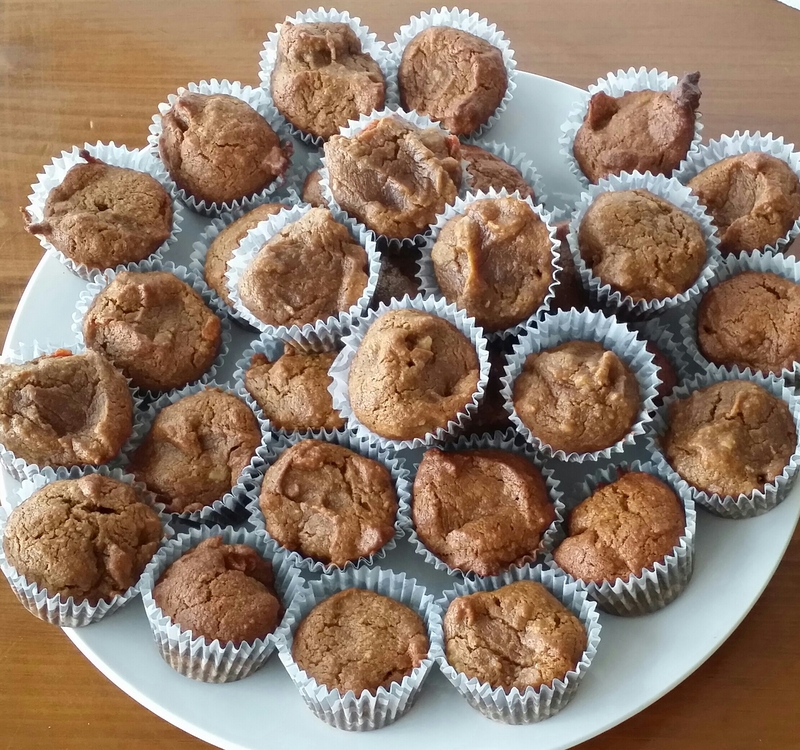 Place a pecan half on top of each muffin, then bake for 11 to 12 minutes.